The latest report by LDC looks at the growth of the Convenience Stores over the last five years (2011 - 2015). 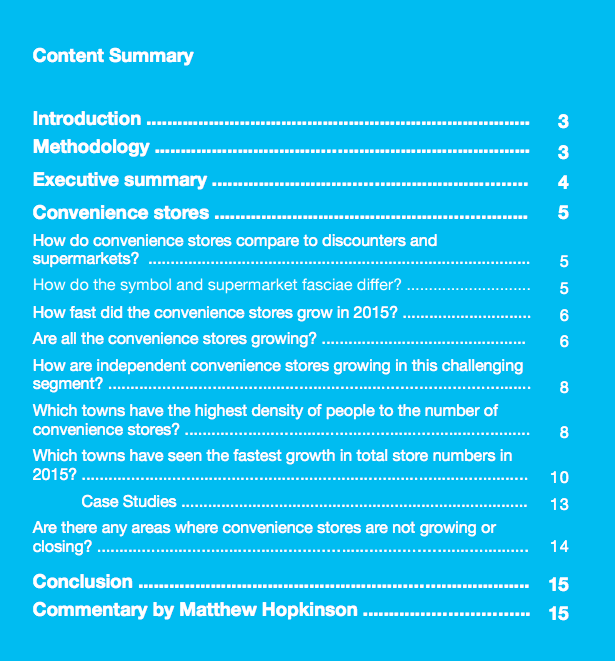 This report looks at the fastest growing convenience stores assessing the fastest growing retailers' convenience store formats and which towns are seeing the most new stores. Matthew Hopkinson, Director at LDC comments: "Whilst supermarkets continued to grow their larger store formats over the last five years it has been their convenience store formats that have been growing at twice the rate of these formats."